What is forcing workers to retire earlier than they planned? The Center for Retirement Research at Boston College says one issue is forcing workers into retirement earlier than theyd planned on going. The Center for Retirement Research at Boston College says one issue is forcing workers into retirement earlier than they’d planned on going. Workers aren’t planning on early retirement. In fact, one out of every three plans to stick it out in the workplace past the age of 65, likely because they aren’t confident that they’ve saved enough money for retirement. But that later retirement’s not happening, as many are compelled to retire earlier than they’d anticipated because of shocks that throw off their plans. According to research from the Center for Retirement Research at Boston College, health issues are the chief cause driving workers into retirement earlier than they’d planned on going. After that came layoffs — it’s tough to stay in the workplace if you don’t have a job — and the third most common reason for early retirement was a spouse’s early retirement or having a parent move in. Between 1991 and 2014, the percentage of workers indicating that they planned on working past age 65 increased from 11 to 33 percent. 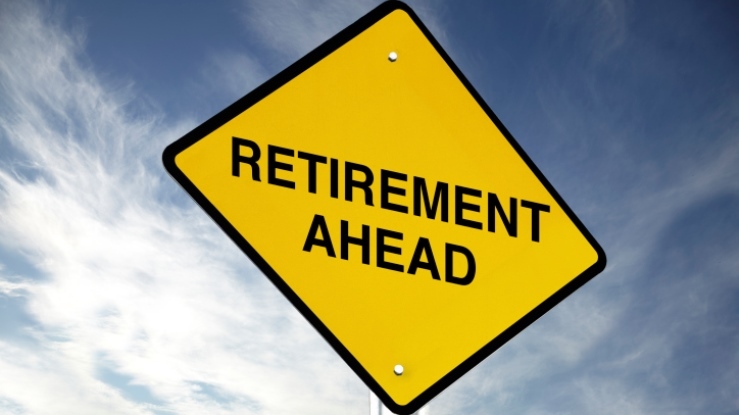 However, despite knowing that early retirement will result in smaller Social Security checks and fewer years to beef up 401(k)s, while at the same time increasing the number of retirement years for which expenses must be paid, workers are leaving the workplace ahead of schedule. The study sought to learn why. The research analyzed the responses of workers who were age 58 at some time between 1992–2012 and were asked when they expected to retire. Researchers then followed each person for up to a decade to determine who retired, whether the retirement was early or on schedule, and what intervening life changes might have caused a change in their stated plan. The changes tracked in each person’s health and cognitive abilities included stroke, diabetes, cancer, and difficulty dressing and reading a map. The most important factor that emerged was health, in two different ways. First, workers in bad health when making their retirement plans are more likely to retire earlier than others, even if their health does not change. And second, a deterioration in health leads to earlier-than-expected retirement. While job loss came in as the second reason people retired early, researchers determined that moving from one job to another improved the likelihood that workers would be able to follow their original schedule for retirement — but only if the new job was an improvement over the old: better pay, fewer hours, or less stress. If the new job was worse, researchers found, workers were actually much more likely to retire early.